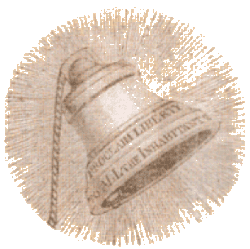 The 14th Annual Underground Railroad Public History Conference, “Breaking Free: Civil War, Emancipation, and Beyond,” will take place April 17-19, 2015 at Russell Sage College in Troy, NY. 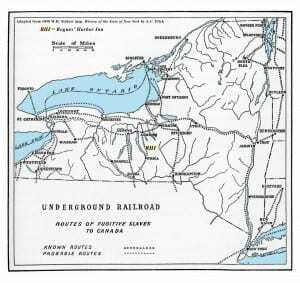 The Underground Railroad History Project of the Capital Region will present the 13th Public History Conference on the Underground Railroad Movement on Friday, Saturday, and Sunday, April 11-13, 2014 at Russell Sage College and the Rensselaer County Historical Society in Troy, NY. The 2013 Underground Railroad Public History Conference in the Capital District this year is marking three major milestones: the Emancipation Proclamation 150 years ago, the death of Harriet Tubman 100 years ago, and the civil rights March on Washington 50 years ago. 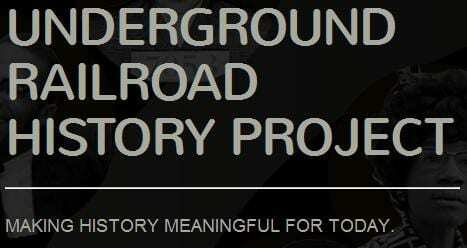 For more than ten years a group of community volunteers has been convening an Annual Underground Railroad Public History Conference sponsored by Underground Railroad History Project of the Capital Region (URHPCR). The theme of this year’s conference will be, “Milestones to Freedom: Emancipation Proclamation, Harriet Tubman, and the March on Washington – a Legacy and a Future.” The year 2013 is the 150th anniversary of the Emancipation Proclamation, the 100th anniversary of the death of Harriet Tubman and the 50th anniversary of the 1963 March on Washington. These, and other key anniversary events, are milestones along the road to achieving Martin Luther King’s vision articulated in his “I Have a Dream” speech. 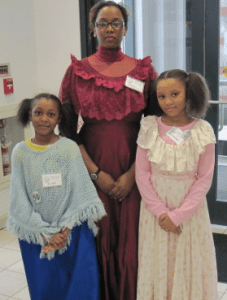 This 12th annual conference on the Underground Railroad seeks to connect the Underground Railroad, these key events and present day struggles for freedom and justice. Toward this end the committee solicits proposals that elaborate, analyze and articulate these stories, connections within them and their relationship to the present. 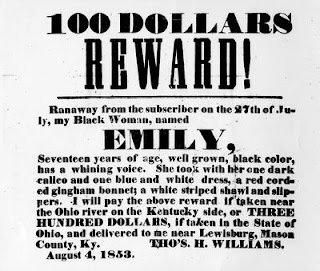 Proposals are invited that address reinterpretations, teaching, new research, and that illustrate how such research can be used to celebrate the story historically and contemporarily, as well as other proposals related to the Underground Railroad in the past and its relationship with us today. This year conference will be held April 12-14, 2013 at Russell Sage College in Troy and Albany, NY. 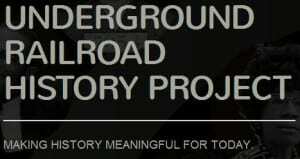 Details are available at www.UndergroundRailroadHistory.org or by calling 518-432-4432. The annual Capital District Underground Railroad Conference will be held this weekend in Troy, NY on April 8, 9 and 10th at the Russell Sage Campus in celebration of the conference’s tenth year presenting workshops, music, and stories about the historic struggle to escape slavery. In the words of the conference founders, Mary Liz and Paul Stewart, the conference activities are, “a fresh interpretation of an Old Story. “ This is the story of the heroic men, women and children who escaped from slavery and who traveled to new, free, lives along the Underground Railroad. The international conference is titled, “Abolishing Slavery in the Atlantic World: the ‘Underground Railroad’ in the Americas, Africa and Europe, and its relationship with us today.” Several hundred attendees are expected at workshops, art exhibits, and musical events. 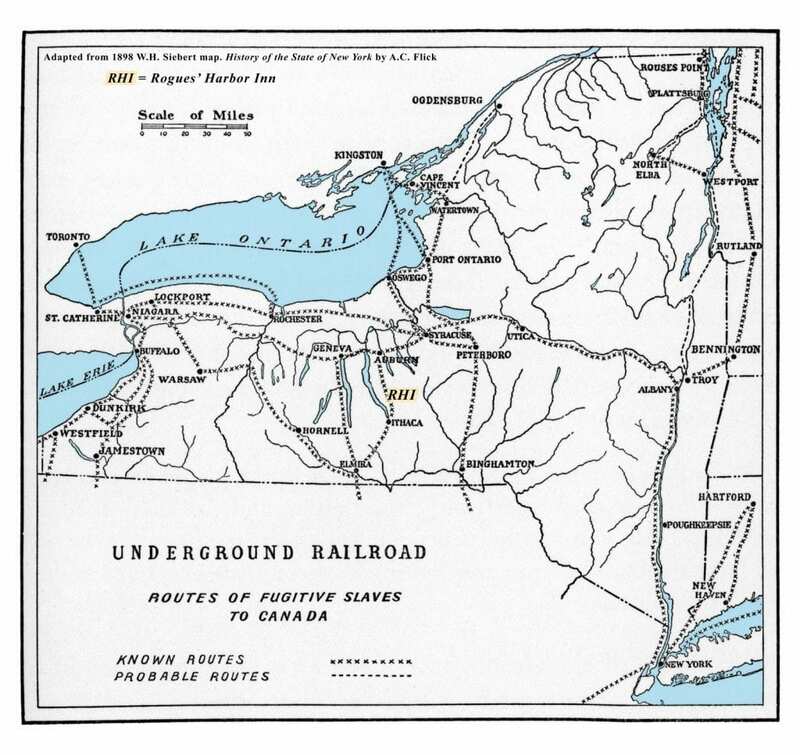 The conference is organized by the Underground Railroad History Project of the Capital Region, Inc., (URHPCR) co-sponsored by Russell Sage College and the College’s Department of History and Society. Several non-profit groups are collaborating: Rensselaer County Historical Society, Museumwise, and the New York State Office of Parks, Recreation and Historic Preservation. On Friday April 8th, 2011 the Opening Address will be given by Dr. Robin Blackburn at 7:00 pm, Bush Memorial, Russell Sage College, Troy, NY, “The International Struggle to End Slavery and the Slave Trade and Its Ramifications Today.” Dr. Blackburn, Professor of Sociology at the University of Essex in England and Visiting Professor of Historical Studies at the New School for Social Research in New York, will describe the international slave trade which fueled the American Colonial economy and he will explore the ramifications for today of the struggle to end slavery. Performing are Kim and Reggie Harris. Blackburn has taught in England at King’s College, Cambridge University, FLACSO (Latin American Social Science Faculty); in Ecuador, and at the Woodrow Wilson Center in Washington, D.C. He has studied and taught at the London School of Economics and Oxford University. He is the author of many books and scholarly articles on historical sociology and critical social theory. Two of his most important books are The Making of New World Slavery: from the Baroque to the Modern, 1492-1800, and The Overthrow of Colonial Slavery, 1776-1848. In recent years he has written several influential articles on slavery and resistance. He is the founding editor of The New Left Review and an editor at Verso Books. Blackburn’s Opening Address at the conference will bring a high level of scholarship and an international perspective to discussions about the historical struggle for freedom from slavery in the United States. 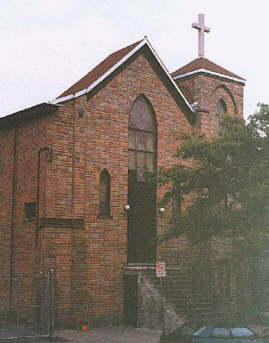 The Underground Railroad Conference in Troy is a venue for African American art exhibits, storytelling, history workshops, and programs for educators and people of all ages. A Workshop for Educators on Friday April 8th is followed on Saturday April 9th with speakers, workshops, a raffle, art exhibit, reception and evening award ceremony. Keynote speakers on Saturday are Dr. Franklin Knight, Stulman Professor of History at Johns Hopkins University, Baltimore, speaking about slave societies. His talk opens the conference at 9:00 am and is titled, “Of Slavery and Abolitions: Perspectives from the World of Slaves.” After the morning workshops at 1:00 pm Tony Burroughs, internationally known lecturer on genealogy, a guest speaker on many television talk shows, will participate in a panel discussion called, “Heritage Preservation Through Genealogical Research, Song and Storytelling.” Joining him on the panel are singer, MaryNell Morgan and storyteller, Miki Conn. Saturday afternoon workshops conclude at 5:00 pm followed by an evening reception and art exhibit held at the Rensselaer County Historical Society located at 57 Second Street, Troy, NY. The conference continues on Sunday April 10th at 2:00 pm in Russell Sage College’s Bush Memorial Hall with programs devoted to music and performance. There will be performances by the Hamilton Hill Dancers, Garland Nelson, MaryNell Morgan, Eshu Bumpus, Magpie, Sparky and Rhonda Rucker, Graham and Barbara Dean, the musical group Peter, Paul and George, the Hamilton Hill Dancers, and the Hamilton Hill Drummers. The conference is possible thanks to leadership from co-founders Mary Liz and Paul Stewart, the contribution of volunteers with the URHPCR, Inc., and conference donors and supporters: M & T Bank, Erie Canalway National Heritage Corridor, Russell Sage College, Kate Storms, The Community Foundation for the Greater Capital Region’s Standish Family Fund, The Alice Moore Foundation, Museumwise, the Arts Center of the Capital Region, New York Council for the Humanities, Pioneer Bank and Troy Savings Bank Charitable Foundation. Find conference information and register online at www.ugrworkshop.com. Contact Paul Stewart at (518) 432-4432. The Call for Proposals submission deadline has been extended to July 31, 2010 for Abolishing Slavery in the Atlantic World: The ‘Underground Railroad’ in the Americas, Africa, and Europe, The Tenth Anniversary Underground Railroad Public History Conference to be held April 8 – 10, 2011. The event is being organized by Underground Railroad History Project of the Capital Region, and hosted by Russell Sage College, in Troy, New York. Where there was slavery, there was resistance, escape, and rebellion. The Transatlantic Slave Trade (1400s to 1800s) was a global enterprise that transformed the four continents bordering the Atlantic, and that engendered the formation of a multifaceted and international Underground Railroad resistance movement. The broad geographic nature of this freedom struggle is the theme of the 2011 UGR Public History Conference. 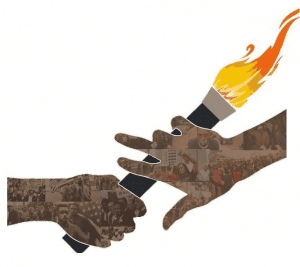 The organizers invite proposals that address capture, enslavement, and resistance within and across borders in Africa, Europe, and the Americas, historically and contemporarily, as well as proposals that address the preservation of the voices of the past and their relationship with us today.